With tattoos becoming more popular, more women who might not have considered them in the past, are now getting them done. 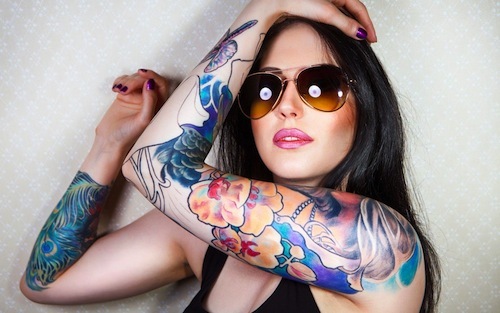 Girls with tattoos these days are not just the rebels or the rockstars. They are young professionals, teachers, lawyers, mothers, even grandmothers! Gone are the days where seeing a tattooed lady meant you were at a carnival or circus. Every woman is an individual and that’s what tattoos are all about–expressing that individuality! Yet, there are still some themes that seem to be more common than others. 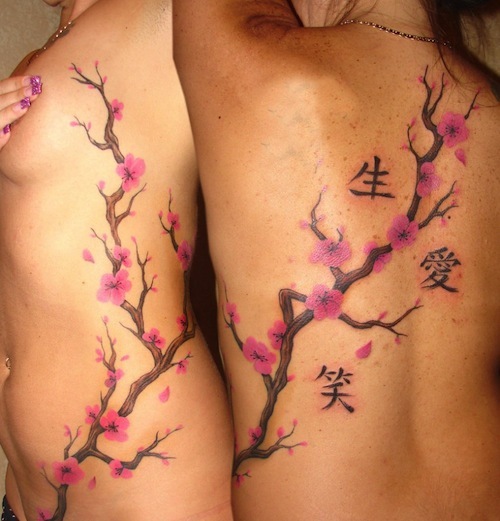 Elegant themes like floral tattoos are seen on many women, though the styles of floral tattoos available are limitless. You have the old school, traditional rose tattoos that will always be a classic. These are seen on pin-ups and non pin-ups alike! Also seen is the photo-realistic floral designs with their meticulous attention to detail and vivid, lifelike colors. More artistic styles with flowers are also popular, with unusual colors or black and gray. Silhouettes are an elegant way to make a floral design more modern looking. Star tattoos are very popular, especially among younger women. They are cute and can symbolize anything meaningful such as the number of children a girl may have. A star is a simple shape, but the styles in which a star can be created, or incorporated into a bigger tattoo design, is limitless. Nautical stars are very common and a nod to the old school tattoo aesthetic. Rihanna and her stars tattoo. Text tattoos have become increasingly popular, especially with more female celebrities getting them. Meaningful quotes, scriptures, and lyrics are among the more popular text tattoos. Ever popular are name tattoos, which are classic and will always be tattooed. Every woman has at least one special person in their heart that they’d like to commemorate in a tattoo, usually a lot more! 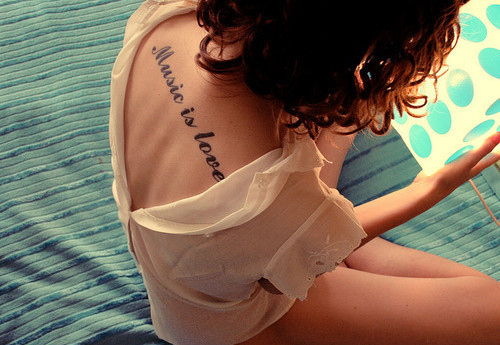 Lovely placement for this text or script tattoo. Feather tattoos and any other kinds of bird tattoos are quite popular. Realistic, stylized and silhouetted versions of feathers and birds are done a lot because they are so elegant! They can be arranged to accentuate a woman’s figure so well. 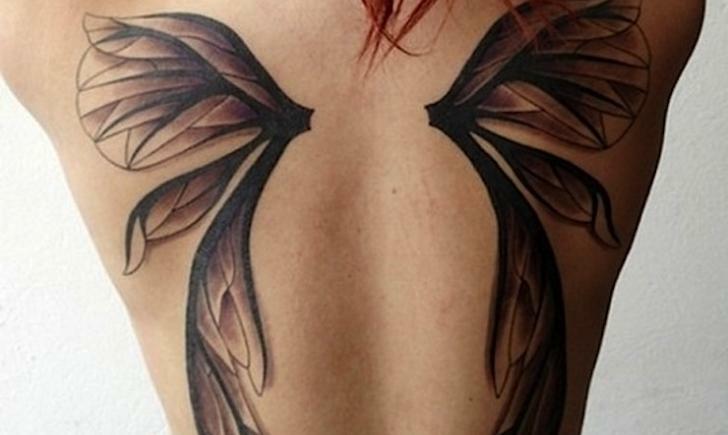 These designs celebrate the female form by making it even more beautiful, with ink! Lovely placed feathers on the shoulder.